Apple's Official iOS IPSW Firmwares Files are very important for most of the iPhone, iPad, iPod and Apple TV users because it helps iOS device users to Upgrade, Downgrade and Install any iOS Softwares via iTunes manually and automatically anytime anyday and anywhere, so TechGlobeX team have decided to update, share and post complete pack of All-In-One-New-to-Old Apple iOS IPSW Firmware Versions via Official Direct Download Links starts from the Old iOS IPSW Firmware Versions till the Latest iOS IPSW Firmware Versions which includes iOS 6.0.2, iOS 6.0.1, iOS 6.0, iOS 5.1.1, iOS 5.1, iOS 5.0.1, iOS 5.0, iOS 4.3.5, iOS 4.3.4, iOS 4.3.3, iOS 4.3.2, iOS 4.3.1, iOS 4.3.0, iOS 4.2.1, iOS 4.1.0, iOS 4.0.2, iOS 4.0.1, iOS 4.0, iOS 3.2.2, iOS 3.2.1, iOS 3.2, iOS 3.1.3, iOS 3.1.2, iOS 3.1.0, iOS 3.0.1, iOS 3.0, iOS 2.2.1, iOS 2.2.0, iOS 2.1.0, iOS 2.0.2, iOS 2.0.1, iOS 2.0, iOS 1.1.5, iOS 1.1.4, iOS 1.1.3, iOS 1.1.2, iOS 1.1.1, iOS 1.0.2, iOS 1.0.1 and iOS 1.0 IPSW Firmwares software versions for iPhone, iPad, iPod and Apple TV devices. iDevice users can Download All-In-One Apple iOS IPSW Firmwares for iPhone, iPad, iPod & Apple TV via Official Direct Links available below. Whenever Apple will release the latest and new iOS Firmware versions for iPhone, iPad, iPod and Apple TV we will keep updated this thread for our valuable readers to save their time and efforts. Download iOS 6.0.1 for iPod Touch 4th Gen.
Download iOS 6.0.1 for iPod Touch 5th Gen.
Download iOS 6 for iPod Touch 5th Gen.
Download iOS 6 for iPod Touch 4th Gen.
Download iOS 5.1.1 for iPod Touch 3rd Gen.
Download iOS 5.1.1 for iPod Touch 4th Gen.
Download iOS 5.1 for iPod Touch 3rd Gen.
Download iOS 5.1 for iPod Touch 4th Gen.
Download iOS 5.0.1 for iPod Touch 4th Gen.
Download iOS 5.0.1 for iPod Touch 3rd Gen.
Download iOS 5 for iPod Touch 4th Gen.
Download iOS 5 for iPod Touch 3rd Gen.
Download iOS 4.3.5 for iPod Touch 3rd Gen.
Download iOS 4.3.5 for iPod Touch 4th Gen.
Download iOS 4.3.4 for iPod Touch 3rd Gen.
Download iOS 4.3.4 for iPod Touch 4th Gen.
Download iOS 4.3.3 for iPod Touch 3rd Gen.
Download iOS 4.3.3 for iPod Touch 4th Gen.
Download iOS 4.3.2 for iPod Touch 3rd Gen.
Download iOS 4.3.2 for iPod Touch 4th Gen.
Download iOS 4.3.1 for iPod Touch 3rd Gen.
Download iOS 4.3.1 for iPod Touch 4th Gen.
Download iOS 4.3.0 for iPod Touch 3rd Gen.
Download iOS 4.3.0 for iPod Touch 4th Gen.
Download iOS 4.2.1 for iPod Touch 2nd Gen.
Download iOS 4.2.1 for iPod Touch 3rd Gen.
Download iOS 4.2.1 for iPod Touch 4th Gen.
Download iOS 4.1.0 for iPod Touch 2nd Gen.
Download iOS 4.1.0 for iPod Touch 3rd Gen.
Download iOS 4.1.0 for iPod Touch 4th Gen.
Download iOS 4.0.2 for iPod Touch 2nd Gen.
Download iOS 4.0.2 for iPod Touch 3rd Gen.
Download iOS 4.0 for iPod Touch 2nd Gen.
Download iOS 4.0 for iPod Touch 3rd Gen.
Download iOS 3.1.3 for iPod Touch 3rd Gen.
Download iOS 3.1.2 for iPod Touch 3rd Gen.
Download iOS 3.1.1 for iPod Touch 3rd Gen.
Download iOS 2.2.1 for iPod Touch 2nd Gen.
Download iOS 2.2.0 for iPod Touch 2nd Gen.
Download iOS 1.1.4 for iPhone 2nd Gen.
Download iOS 1.1.3 for iPhone 2nd Gen.
Download iOS 1.1.2 for iPhone 2nd Gen.
Download iOS 1.1.1 for iPhone 2nd Gen.
Download iOS 1.0.2 for iPhone 2nd Gen.
Download iOS 1.0.1 for iPhone 2nd Gen.
Download iOS 1.0 for iPhone 2nd Gen. Note: This thread and article will always remain alive in future also to keep updated our valuable readers and to provide them a complete range of Old and New Apple’s Official iOS IPSW Firmware Versions for iPhone, iPad, iPod & Apple TV via Direct Download Links. 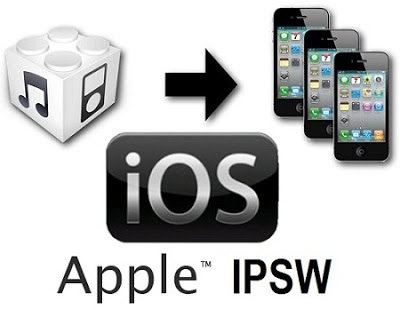 So Bookmark and Save the URL of this Blog Post to keep yourself updated in future regarding Apple’s Official iOS IPSW Firmware Versions.